Noa Nakai continued his violin studies at Sibelius Academy in 1996 with Lajos Garam after starting the studies in Järvenpää. Géza Szilvay’s teachings Nakai has recevied e.g. when being the concert master for the Helsinki Strings. He has also participated many international Suzuki courses as a child. Nakai has attended masterclasses by Mi-Kyung Lee, Per Enoksson, Hagai Shaham and Pinchas Zukerman among others. Nakai is also a composer and has a Master’s degree both in violin and music technology. Nakai has been teaching since 1998 and received maximum grades on violin pedagogy in Sibelius Academy 2004. He is also experienced in international distance teaching, where high quality teaching is provided to remote locations via video conference. Noa teaches in Finnish and English. Noora Voima teaches violin at the East Helsinki Music Institute and at the East Helsinki Elementary School using the Colourstrings method developed by Géza Szilvay (certified in 2010). Noora finished the music institute’s final degree at the East Helsinki Music Institute and has been a long-term member of the Helsinki Strings. Noora has studied at Lahti University of Applied Sciences (teachers Pertti Sutinen, Ulla-Maija Hallantie / music pedagogy) and in Klagenfurt, Austria and in Graz (teachers Helfried Fister / konzertfach-violine, Thomas Fheodoroff / Alte Musik). The higher bachelor’s degree in pedagogy she finished at Metropolia in 2016. Noora has participated masterclasses by Vladimir Ivanov, Maria Egelhoff, John Storgårds and Sebastian Gurtler. Noora teaches beginners as well as advanced students in Finnish and in English. Milla Rantala started her violin studies as a six-year old at Hanko Music School. Later she studied at Stadia University of Applied Sciences under tuition of Katinka Korkeala and Lajos Garam. Rantala graduated as a music teacher in 2007 and she has taught violin at Raasepori Music School and Music Institute Juvenalia. Milla teaches in Finnish, Swedish and English. Katariina Saarikoski is particularly fond of teaching cello. Saarikoski graduated in 2009 from Metropolia University of Applied Aciences. At the moment Katariina is finishing her degree at Sibelius Academy. She has studied cello under tuition of Raimo Sariola, Sami Mäkelä and Tapani Heikinheimo. Saarikoski teaches in Finnish, Swedish and English. Satu Garam started her flute studies at the age of 11 at Helsinki Conservatory. 18 years later Garam graduated and has studied under tuition of Kyösti Huuhko, Éva Hibay and Timo Pulakka. She has taught music for over 30 years. Currently she teaches flute and besides teaching she has a vast experience of performing music. Satu teaches in Finnish. Viva Garam graduated from Sibelius Academy in 2006. She studied under tuition of docent and piano artist Eero Heinonen and professor Erik T. Tawaststjerna. Garam has won several prizes during her career – she won the Fazer piano contest in 1992 and received a scholarship from Zonta association in 2006. Garam runs her own music school called Garam School of Music and works actively to grow the popularity of classical music. Esa Ylivaara is a Helsinki-based pianist, pianist teacher and a composer. He studied piano at Sibelius Academy and finished his Master’s degree in 2008. He’s studied under tuition of professor Matti Raekallio, Jussi Siirala and Matti Oksala. Ylivaara has taught piano for over 10 years at Avonia Music Conservatory. Esa has taught music at Hanko Music Course since 2009. Ylivaara is a versatile musician who’s inspired by great music beyond genre limits. Juuso Nieminen was born in Finland in 1979 and began to play guitar at nine years old in the Vantaa Music Institute. In 1998 he began his professional studies at the Turku Music Academy and in 2007 received his Soloist’s Diploma with highest marks from Sibelius Academy. In 2006 he won first prizes in the Alhambra Competition in Spain and the Heinsberg International Competition in Germany in 2007. In 2003 and 2008 he received second place in the Michele Pittaluga Competition in Italy, and in 2008 he completed his Master’s degree at Sibelius Academy. Soprano Minna Nyberg is a versatile singer who has specialized in the art of baroque singing. Her soft tone with a rich use of vocal colors and her impressive talent for interpreting texts makes her an interesting and appreciated Finnish artist. Nyberg graduated as a singing teacher from Helsinki Metropolia University of Applied Sciences in 2008. She has studied classical singing for Tanja Kauppinen-Savijoki, Ulla Ståhl-Grapes and Matti Pelo. Since 2007 Nyberg has studied baroque singing with baroque specialist and singer Susanne Rydén. Nyberg has also studied musicology at Åbo Akademi University and received her Master’s Degree in 2005. Minna teaches in Finnish, Swedish and English. 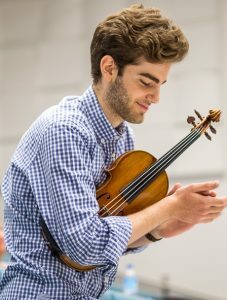 Austrian violinist Emmanuel Tjeknavorian won 2nd prize in 2015 Jean Sibelius Violin Competition. 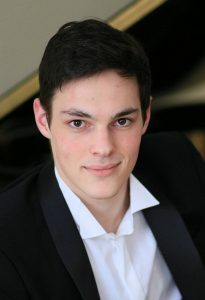 He studied at the Vienna Academy of Music and the Performing Arts under Gerhard Schulz, and despite his young age, he has had great success in several international competitions. In 2012, he won first prize in the Musica Juventutis competition at the Wiener Konzerthaus and in 2013 the Stefanie Hohl Violin Competition and the Szymon Goldberg competition. In September 2014, Tjeknavorian was among the finalists of the Fritz Kreisler Violin Competition as the first Austrian, eventually gaining third place. He was also presented with the Casinos Austria Rising Star award in 2014. Tjeknavorian has performed with a number of leading orchestras, including the Vienna Radio Symphony Orchestra, the Orchestra della Toscana and the Estonian National Symphony Orchestra. Maximilian Karl Kromer was born in Vienna in 1996. At four he entered the Vienna Music School. From 2005 to 2010 he was studying with Susanna Spaemann and in 2010 he was accepted at the University of Music and Performing Arts in Vienna as junior student of Noel Flores. Since 2012 Maximilian is student of Martin Hughes. As soloist Maximilian has been awarded numerous national and international prices including 1st price at Prima la Musica Austria, 1st price at International Jenö Takacs Competition, 2nd price at the International TV-Music Competition “Nutcracker” in Moscow/Russia and 2nd price at “A Step Towards Mastery” in St. Petersburg/Russia. Maximilian has given numerous recitals throughout Austria and abroad. In 2010 he played in the opening ceremony of the “Nutcracker” competition. Maximilian has also been performing in Grand Philharmonic Hall St. Petersburg, Gasteig Hall Munich, Musikverein Vienna and Concert House Vienna. Besides his solo career Maximilian is regularly performing as chamber musician, together with his violin partner Emmanuel Tjeknavorian. They performed as a duo in a number of concerts and competitions, winning 1 st price and EMCY-price at Prima la Musica Austria in Salzburg 2011. In 2015 they were invited to participate in the Academie de Musique Lausanne Violin-Piano Duo Masterclass by Pierre Amoyal and Anna Queffelec. There, Emmanuel and Maximilian were awarded “Meilleur Duo” Prize. In 2016 the duo won the second price at the Chamber Music Competition Pinerolo, Italy. 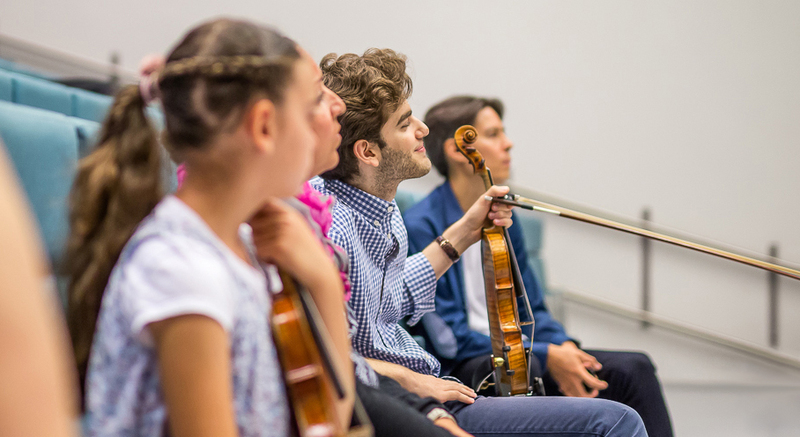 Maximilian and Emmanuel were performing at the Menuhin Festival Swizzerland, Hanko Festival Finland, Pharos Festival Cyprus and Rheingau Festival Germany.